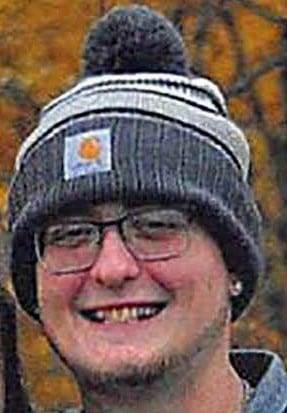 Austin Tyler Bidlack, 21, of Cecil, passed away on Thursday, Dec. 20, 2018, at St. Vincent Mercy Medical Center in Toledo, Ohio. He was born on July 28, 1997, to Dodi Bidlack in Bryan, Ohio. Austin loved his job as a vaccinator for Cooper Hatchery in Oakwood, Ohio. In his spare time he enjoyed hunting, fishing and dirt track racing. Most of all he loved spending time with his family and baby sister. Austin will be sadly missed by his parents, Dodi (Phil Froelich) Bidlack of Cecil, Ohio; biological father, Andy Chamberlin of Leipsic, Ohio; fiance, Faith Sowles of Cecil, and with a baby on the way; stepson, Cadan Dewitt; brother, Dylan Froelich of Ney; sisters, Kelsie Froelich of Cecil and Riley Froelich of Ney; grandmother, Kim Richards of Sherwood; grandfather, David (Stacy) Bidlack Jr. of Cecil; great-grandmother, Janet Richards of Sherwood; great-grandfather, Dave (Sharon) Bidlack Sr. of Cecil; and many aunts, uncles, nieces, nephews and good friends. He was preceded in death by his great-grandfather, John Richards Sr.
Visitation will be held from 11 a.m. to 3 p.m., and 5-8 p.m. on Thursday, Dec. 27, 2018, at Schaffer Funeral Home in Defiance, and for one hour prior to services on Friday. Funeral services will be held at 11 a.m. on Friday, Dec. 28, at Schaffer Funeral Home, with the Rev. George Alley officiating. Burial will follow the service at Rochester Cemetery in Paulding County. Be the first to comment on "Austin Bidlack (1997-2018)"